Any makeup product that smells of peonies is always going to be a winner in my books. I’m not actually sure that the scent here is peony, but it reminds me so much of l’Occitane’s Pivoine Flora that I can’t be too far off the mark! Anyway, as we all know, we shouldn’t judge a beauty product solely by its scent – so what’s this little addition to the BB Cream epidemic got going for it? Well firstly its texture. 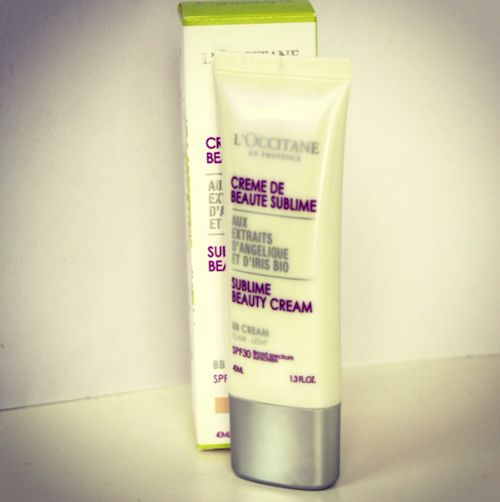 L’Occitane’s Sublime Beauty Cream is so, so light – hard to believe that it could contain any kind of SPF, but it does. SPF30, UVA and UVB protection. It applies like a dream – very smooth, no patchiness or cakiness – and it leaves the skin with the faintest of glows. It’s not a shimmery glow, it’s not even dewy, it’s just a healthy, barely-there sheen. Coverage is incredibly light, but the BB does even out very minor patches of redness and it has a slightly peachy hue that brings dull skin back to life. If you have excellent skin, then you’ll love this on its own – you can always conceal spots and dark circles afterwards if you feel you need more help. Those who need the coverage of a foundation might like to use the BB Cream first, almost as a tinted primer – you definitely need much less foundation if you’ve got a more even-toned, brighter canvas to work with! I’ve been using my Max Factor Miracle foundation very sparingly over the top of the l’Occitane BB and it works very well. I keep meaning to write a post about BB Creams but I feel I’m a little late in the day with it. I do like BB creams for their sun protection and hint of colour (obviously you need to apply very generously to get the stated SPF!) but the differences between all of the BB Creams out there are vast, so it’s difficult to generalise. As a rule, if you’re looking for a product that ticks lots of boxes (bit of skincare, bit of makeup, nice whack of SPF) then BBs could be for you. If you prefer a dedicated SPF, a higher coverage foundation and super-performing skincare then you may get on better with your separates! This one from l’Occitane is in the realms of the “complexion enhancer”, I feel – a light tint, a healthy sheen and the added benefit of some SPF. Warning for those who don’t like perfumed skincare: they’ll smell you coming a mile off with this on. I love the scent, others may not. Try it instore and let me know what you think, please! 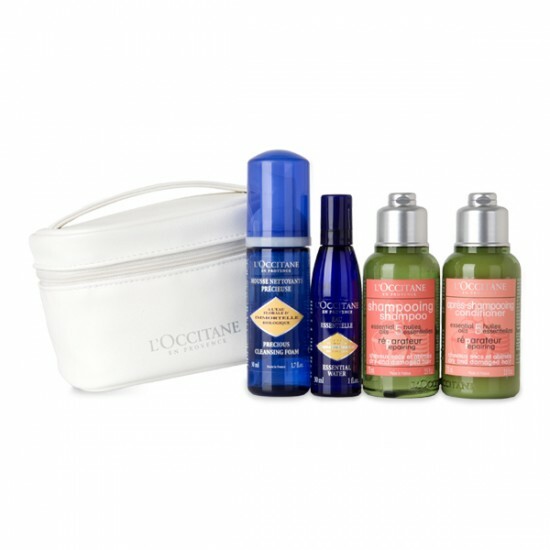 **UPDATE: l’Occitane have a couple of offer codes running.